As Serious Eats pointed out in its rundown of Philadelphia cheesesteaks, under seasoning is a big issue. Even spots that aren’t just phoning it in often lack adding any salt or pepper. 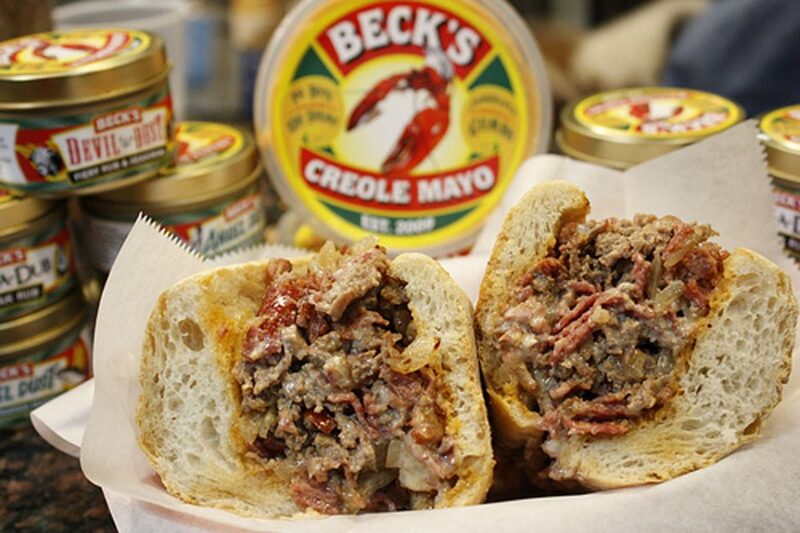 Under seasoning is not an issue on the Train Wreck at Beck’s Cajun Cafe. This Philadelphia take on the Po Boy adds Andouille sausage and salami to the traditional cheesesteak. 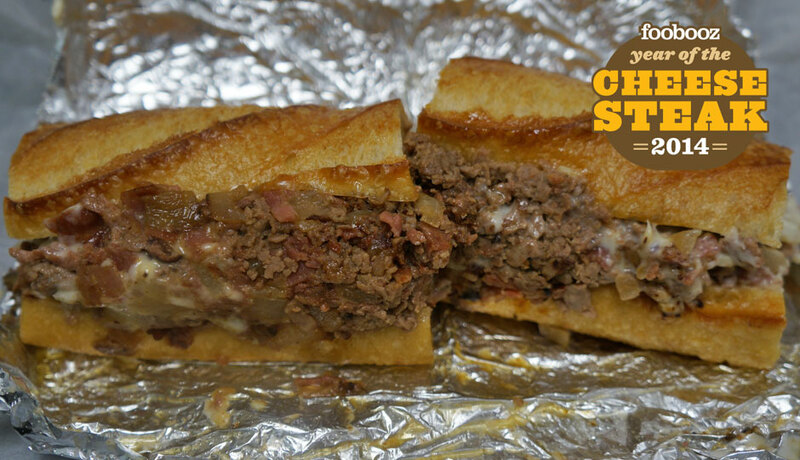 Today we take the Train Wreck for a spin and see how the Creole take on the cheesesteak stacks up. Roll: French baguette smeared with Beck’s Creole mayo. Meat: In addition to finely chopped beef, there’s also Andouille sausage and salami, all mixed together. Onion: Thinly chopped and caramelized. 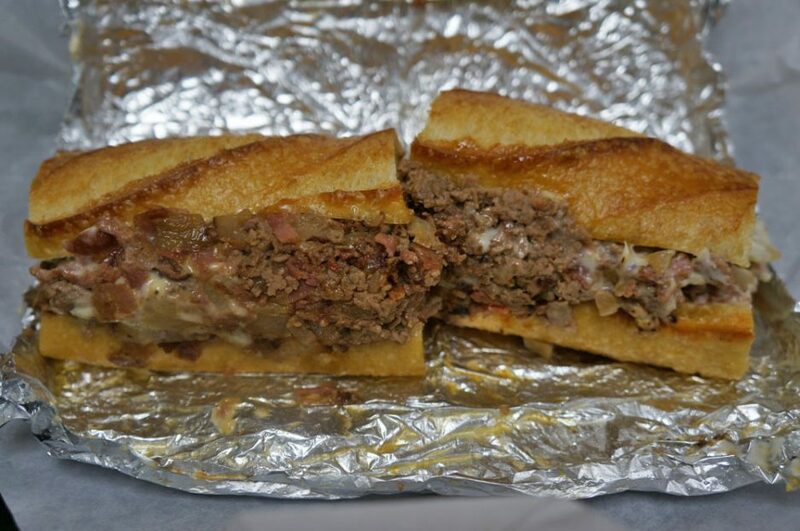 Pro Tip: Want to take your cheesesteak up a couple levels. Add a few shakes of Beck’s 3 Devils Hot Sauce for a sweet and tangy burn or ask for a extra Devil Dust for a more intense smoky flavor. And of course, you can take those sauces and rubs home to experiment with in your own kitchen. The Train Wreck is an excellent cheesesteak and a really good sandwich. It even teeters towards Philadelphia Sandwich Pantheon status with the likes of DiNic’s roast pork, Nick’s roast beef and a Paesano from Paesano’s. It is a big sandwich that offers value at $8.95. A half was enough to fill me for lunch. The steak is finely chopped along with the sausage and salami, allowing the flavors of all the meats mingle in every bite. The cheese is also folded into the sandwich, creating a balanced flavor throughout. 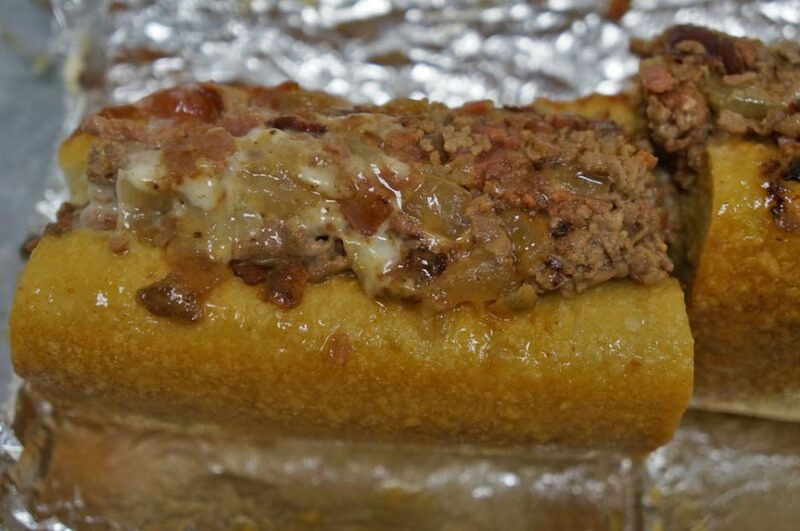 The spice is prevalent but not overwhelming, making the Train Wreck a cheesesteak with a little bite and not some sort of Cajun Frankenstein. It has been two hours since I woofed down the Train Wreck cheesesteak and I’m regretting sharing the second half. Beck’s Train Wreck is one of the best cheesesteaks in town, and a welcome counterpoint to the under-seasoned steaks that have plagued the Year of the Cheesesteak. 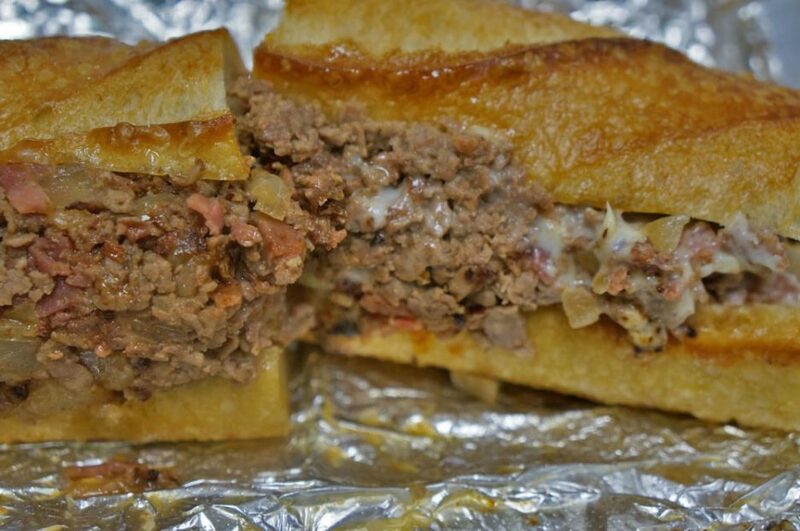 Creole cheesesteak is ready for its closeup. Check out the bits of sausage and salami mixed in with the steak. Fried onions, Creole mayo, there's a lot going on in this sandwich.